Will "Titanic" Set Sail Again in 3-D? NEW YORK (CBS) James Cameron may be planning for "Titanic" to set sail in theaters once again. 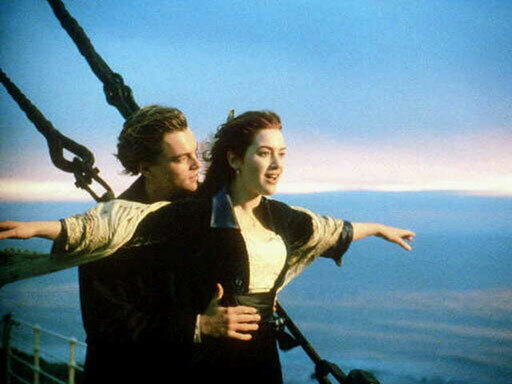 A report in the Los Angeles Times on Monday states that the director is converting his blockbuster film into 3-D and plans to re-release it in April 2012, to commemorate the 100th anniversary of the Titanic's sinking. The film, which came out in 1997, starred Leonardo DiCaprio and Kate Winslet and won 11 Academy Awards. The "Avatar" director recently celebrated another "Titanic" milestone - Gloria Stuart, who portrayed the elder Rose in the film, marked her 100th birthday on Sunday. Cameron and his wife, Suzy Amis, attended a party for Stuart along with more than 100 of her friends and family, including "Titanic" castmates Frances Fisher, Shirley MacLaine and Tom Arnold, the Los Angeles Times states. "Gloria's so alive, and her creativity, her artistry and the sparkle in her eyes is a challenge to all of us to live as fully and richly as she has and will continue to do as she heads into her 101st year," Cameron said at the party, according to the report.